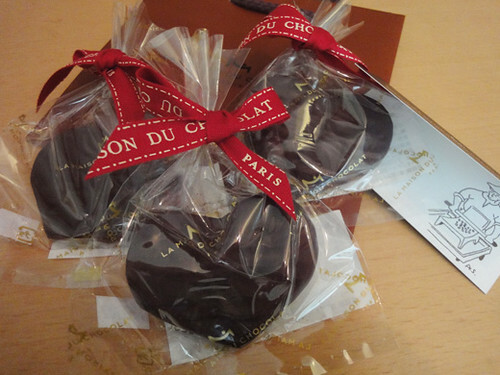 I got some fancy chocolates such as ‘La Maison Du Chocolat’ and ’100% chocolate cafe’ for Valentine’s Day at Ginza Matsuya department store. 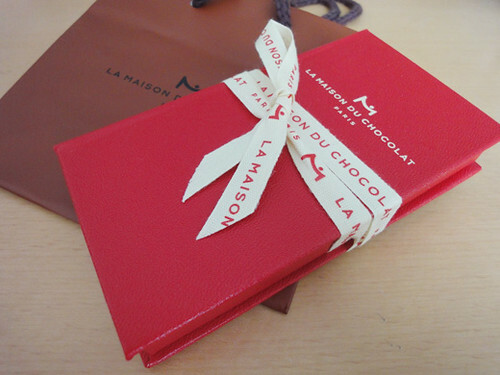 I love the Valentine’s special red box with ribbons of ‘La Maison Du Chocolat’. 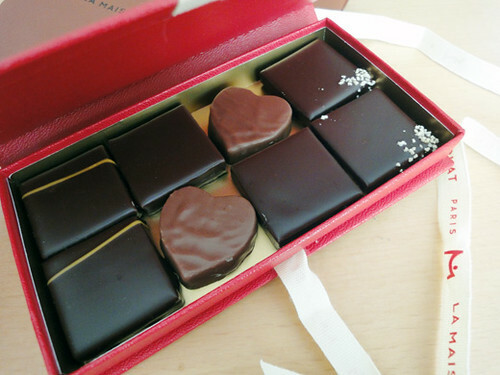 Of course, the beautiful bonbon chocolates tastes very good. 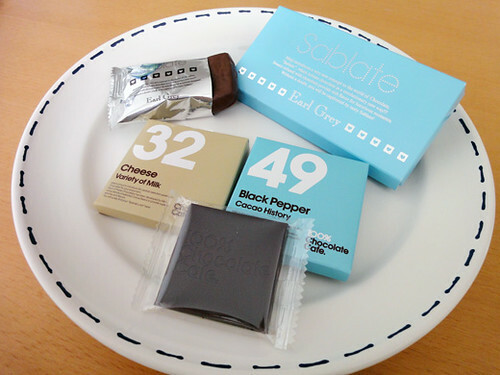 And, the ’100% chocolate cafe’ has various kinds of unique flavors of chocolates such as cheese and black pepper that I got. There are 56 kinds of flavors in all. 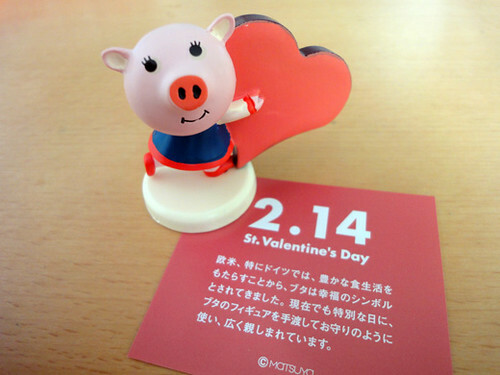 However, I got an annual happy pig for Valentine’s Day at Ginza Matsuya department store this year. She is very cute!